Shanghai are you ready! 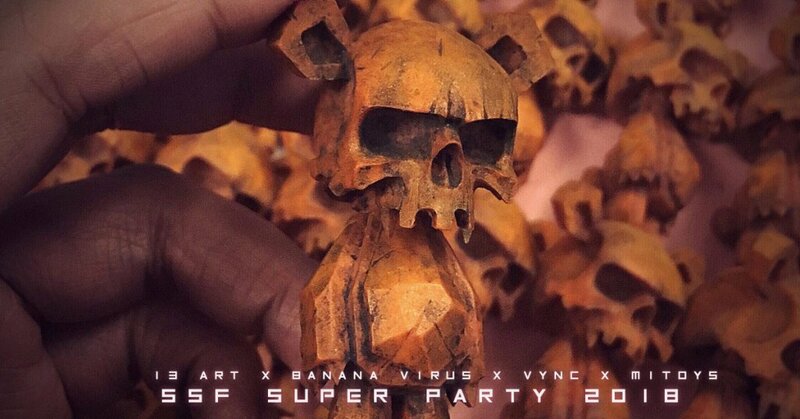 13 ART x BANANA VIRUS x VYNC and Mitoys are preparing to ROCK SSF Shanghai! From resin releases to Soft vinyl release which includes one of a kind and collaborations between all 3 artists under one roof over 2 days! 13 Art and Banana Virus has shown teasers of what to expect at the show. Are you ready to call your mules? Look out for more reveals from the guys over the next couple of days.